Unless someone else has posted this...looks like Nanaan Z has front and back box pics of 10221 Super Star Destroyer. Comes with a little cute Star Destroyer and 5 figs...Vader, an Imperial Officer, Bossck, Dengar and IG88 and it looks like you can fit them inside the ship. Definitely want to pic this up and display this puppy! Guessing it's about $350 - $400 bucks. 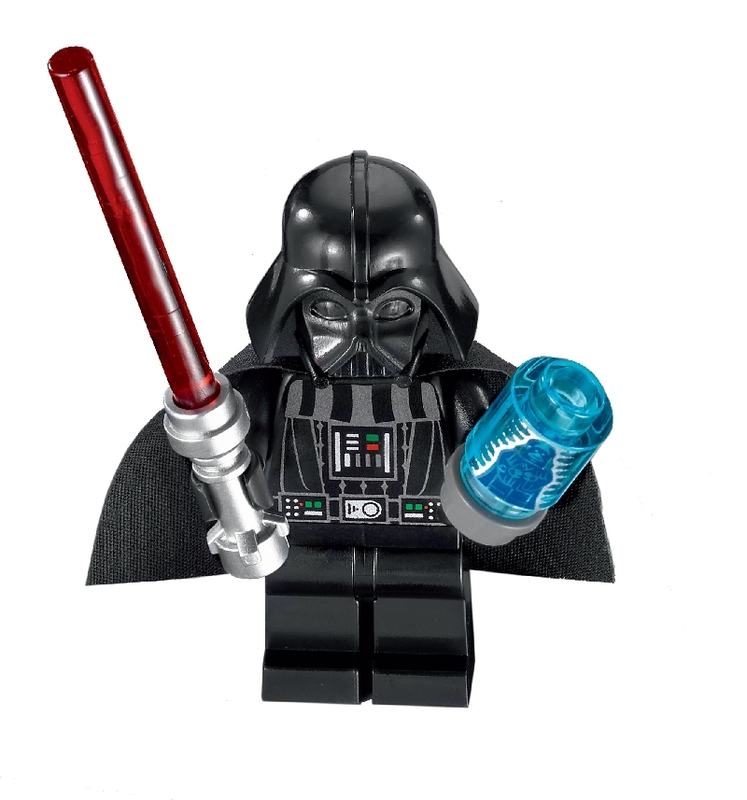 On the back, what is the blue thing in Vaders left hand? And at top right it looks like a removable boulder??? Or something? What's that? Sorry viewing on iPhone so not uber clear. Looks great! Will be picking this one up at some point! BTW, from the graphics on the back of the box, it would seem the Tantive IV isn't as close to retirement as we thought? On the top right detail, back of box shows part of the top of the model you can remove to show a larger bridge area to recreate the scene of Piett below in the control room pit while Vader's above on a platform area addressing the bounty-hunters. That little trans-blue brick will probably have an image of the emperor on it, and represent the tiny holographic projection of the emperor, giving Vader his orders. ^ Agreed - I expected it to be around the 5000 piece mark. I tried to magnify the picture to see the length but it was too blurry to read. Certainly interested to know how it compares with the UCS ISD which is about a metre long. ^ I think it says 124cm. That is MASSIVE!!! I won't have anywhere to display this! Yep - that IS massive. It'll be the biggest LEGO model ever in terms of sheer size by some margin, if that's the case (I think the UCS ISD and Tower Bridge currently hold the crown). Agree it will be a challenge to display it, but hey - these big sets are so bonkers anyway that it's all part of the fun ! If you zoom the picture and select all sizes you can select the original size. The set 124.4cm or 49in long. Yowza thats a big sucker.. Although no mention of the Death Star or the Republic Dropship. I am pretty suprised Tantive iv is there though. as much as i love the SSD, and it's such an iconic ship, I just don't think I'm going to get this. it's just too boring - essentially one large wing/wedge with a metric ton of greebling on top and a few engines on the back. not LEGO's fault - that's the source material they have to work with. also the decision to add minifigs and make them "fit" inside is a bad one from my standpoint - this isn't a playset. it just comes off to me as silly. the target audience here isn't going to be "playing" with the figs inside the seriously not to scale bridge. a compromise of throwing the minifigs in with the set, but not actually making room for them in the model woudl have been better IMHO. How large would it be if it were truly minifig scale?